"Contemporary Christian Rock & Praise & Worship since 1982." A few weeks ago Louis Tata offered some copies of his new CD on Facebook; happily, he sent me one! You can find both CD and individual MP3s on amazon. The entire CD features a rich, open, resonant, full, acoustic sound that literally could not be better! I hardly can overemphasize the importance of sound quality; I've given away too many CDs where the performances themselves were fine, but the sound didn't measure up―to such an extent I didn't want to listen. Music, lyrics, and arrangements on Your Mercies Are New Today all are fairly simple "rock & praise & worship," yet in a surprising variety of musical styles. Needless to say, I prefer some tracks; after a few listenings, the slower, more somber songs (2, 6, and 9) still didn't appeal to me as much as the others did. Once the website is live again, you can get chords for all these songs to use in worship. Exquisitely beautiful, and a great set opener! "It's Friday night, and I don't know what I'm doing... it's been so long... Hungry for your love; thirsty for your word." I love this mellow, hope-laden rock! "waiting for an open door, to a life that's so much more..." this track is mid-tempo, a little morose. "Woke up this morning with the sun in my eyes! new day!" CD title track with wonderfully energetic rockabilly! "we bring an offering, his praise do we sing; we serve a mighty king, alpha and omega, first and last..." blues with laid-back energy and an unforgettable, hands in the air, celebration style! "Waiting for you; Jesus, here I am! I want to see your glory in my life!" Who would not relate to this? This song moves right along! "You are holy, Lord, mighty is your name..." Although lyrics are solid, I don't relate much to the somewhat dragging, mournful style of this track. "You are life; you are love; you are Lord!" A glowing, easy to follow, basic tempo, worship opener! This track also has a kind of melancholy sensibility; lyrics and music are ok, but it drags, and comes across as not very hopeful. "Listen to the Spirit as it breaks through... it's God's perfect love, trying to get you in touch." "Only believe in the Son of God, in the Holy One..." this one's also a winner! "...in this place, in this place. When I think about it, what I feel for you is not only in my mind, it's from deep within my heart; I always trust in your love to chase away my fears!" A perfect conclusion to an outstanding concert! 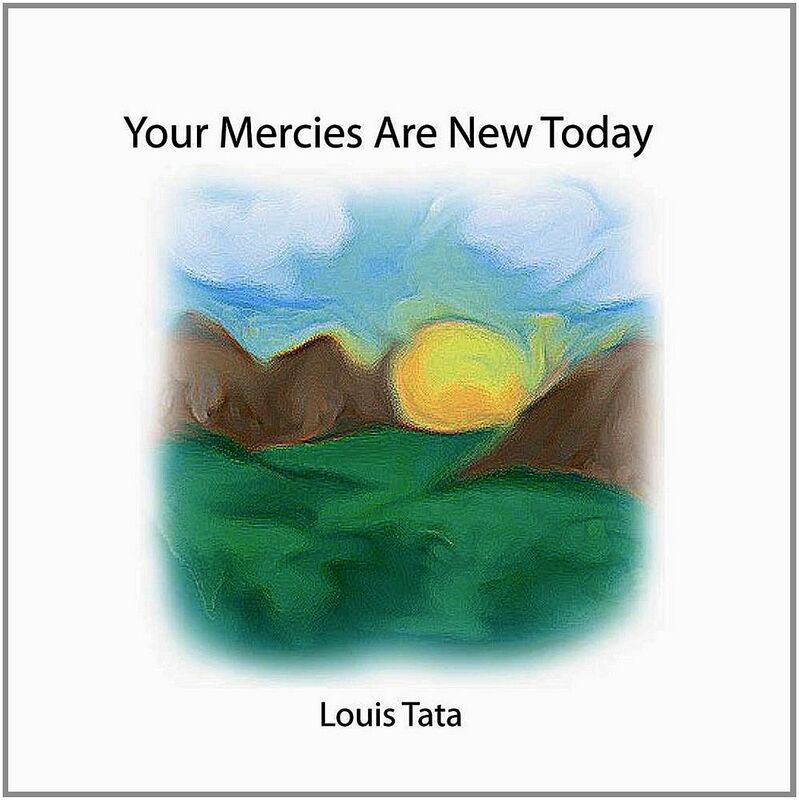 CD info: original music and lyrics by Louis Tata; released July 17, 2012 on the CD Baby label.